Whether you are looking for a rustic retreat, an awesome outing, or an enduring educational experience, Boundary Ranch offers a variety of activities for youth and school groups. Being active outside is a key factor in the physical and mental health of young and developing minds and bodies. Leave technology and urban routines behind and allow your participants to engage with the natural world. Cultivate a connection with the earth and with each other, enhance teamwork and leadership skills, and aim to inspire enjoyment of the great outdoors! Boundary Ranch offers outdoor education programs that facilitate quality hands-on learning experiences in a safe environment. Our dynamic and innovative programs are grounded in the Alberta Curriculum and provide participants the opportunity to explore the natural environment and enrich their studies with real-life experiences and the power of self-discovery. 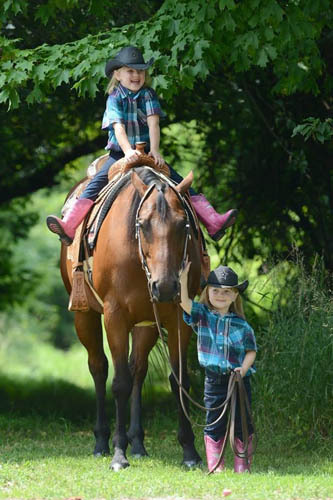 Boundary Ranch specializes in facilitating horse and outdoors themed programming. We would be thrilled to work with your group to customize a visit to meet criteria specific to your organization that allows your participants to earn badges and awards. Please contact us so that we can customize an exciting and memorable visit for you and your group.